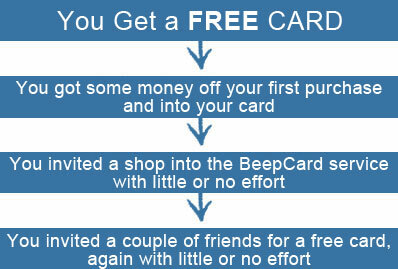 Why you need a Beep Card! On a usual shopping day you go to a few stores. A cashier asks you if you have a Beepxtra card. You say no so the cashier asks if you would like one. 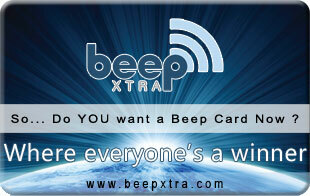 They explain that it is 100% free and can be used to earn cashback in any other Beepxtra store. In the next store you ask if they take Beepxtra. They say no which is actually fortunate for you! You ask them for their email so you can send them a beepxtra invite to check it out. When back at home you login to your Beepxtra account and send the store an invitation to join the Beepxtra service. You then see you have five invites to give to friends so you send these out to people you know. One month later you are going shopping again so you login to see what shops are available. To your surprise you see the shop you invited now takes Beepxtra .. Nice! You also see that two of your friends you invited have also joined. From your first purchase you have earned $10 dollars. 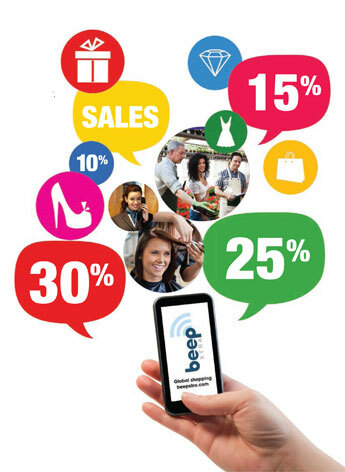 You also see you have earned commissions on your invited shops turnover and your friends shopping. eg $496.00 Dollars. You now have $506.00 dollars in your account to spend! Apparently, the store you invited, accepted the invitation, and has now implemented the Beep Card service. During their first month, they gave out a few hundred cards to their clients. Note that you got your card on your FIRST purchase and that first transaction went on your card directly. The same applies for the new clients the store has introduced and because YOU invited that store, you are now getting commissions from purchases that a few hundred Beep Card owners like yourself make on their usual month!!! Additionally, one of your 2 friends, introduced another store which also gave a few hundred Beep Cards out. Same story applies as above. You got commissions from Beep Card owners such as yourself, who were given free Beep Cards by a store that your friend introduced whom YOU gave a free Beep Card in the first place!! !